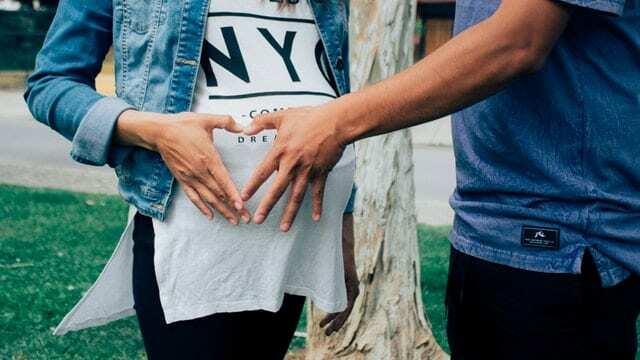 Finding out you are pregnant can be a wonderful joyous moment, but for some it could be one of the most shocking and devastating moments of your life. At first, you don’t believe it. Surely there has been a mistake somehow. But after a visit to the doctor, there’s no kidding yourself. The doctor’s tests don’t lie. You are pregnant. There’s no getting around it. Now what do you do? You feel alone, confused, afraid, a thousand thoughts swirling around in your mind. You’re feeling more emotions than you’ve ever felt before all at the same time. Then the questions start: Who should I tell? Will my boyfriend stay with me? What will my parents say? Will they kick me out of the house? What will my friends say? Where am I going to get the money to take care of the baby? What about adoption or even abortion? It’s overwhelming. What should you do? Sometimes you almost need a guide to help you walk through your experience. Hopefully this blog will be that guide. I want to give you some suggestions on what to do and not to do when you find out you’re pregnant and don’t know what to do. Suggestion #1: Never make a decision based on impulse, fear, or shock.The first thing that comes to your mind when you are pregnant is, “What shall I do?” It seems like a thousand questions need answered. The first thing you should do is nothing. You have several months to figure out what you are going to do with the baby. Calm yourself as best you can and then pray. Ask God to keep you calm and to give you wisdom in what to do next. Remember, we usually don’t make good decisions when we act out of fear, confusion, and shock.You may have heard someone say when having a difficult decision to make, Let me sleep on it.They’re want to calm down so the wisdom part of their brain can kick in. Then they won’t do something impulsive they’ll regret later. Remind yourself that hundreds of thousands of people have gone through what you’re going through and somehow in someway most of them made it and you will too. Remind yourself the decisions you will be making affect not only you, but those closest to you and especially the baby. I tell the teenagers and young adults who call me and are pregnant to remember to always do what’s best for the baby. So calm down and take a deep breath. Things will turn out okay. Suggestion #2: Tell those closest to you about your pregnancy.Now it is time to tell those closest to you that you are in fact pregnant or your girlfriend is pregnant. This is a very difficult thing to do because you cannot predict how people will respond to the news. So start with someone you trust the most. The most difficult people to tell may be your parents. The sooner you tell them the better so they can be a support to you as you make decisions.One way to do this is to sit down with them and tell them how much you love them and thank them for their support over the years. Then tell them you really need their support right now. Then go ahead and explain to them what has happened. Suggestion #3: Talk to the father of your child. You may be wondering, “What will my boyfriend do?” Good communication between you is very important. Each of you will need to be honest about your feelings and thoughts. Sometimes it is helpful to see a counselor together or another trusted adult to help you talk through your feelings and possible decisions. Suggestion #4 Find A Support Group. Many cities have free pregnancy care clinics that will give you advice on pre-natal care and talk to you about your options. Our partner, Option Line, can help you find the clinic closest to you. Some clinics offer counseling, parenting classes, and free ultrasounds. Suggestion #5: Make a list of choices you have before you. Ask yourself questions such as who will raise the baby? Can I provide financially? Is the father going to be involved? Where will we live?You can give the baby up for adoption. I must admit, I am biased about this decision. My wife and I have had the privilege of adopting two boys at a very young age. We were unable to bear children, so this option for us was a God-send. It is never easy to give up your baby for adoption, but there are loving couples out there who would give your baby a wonderful home and family.